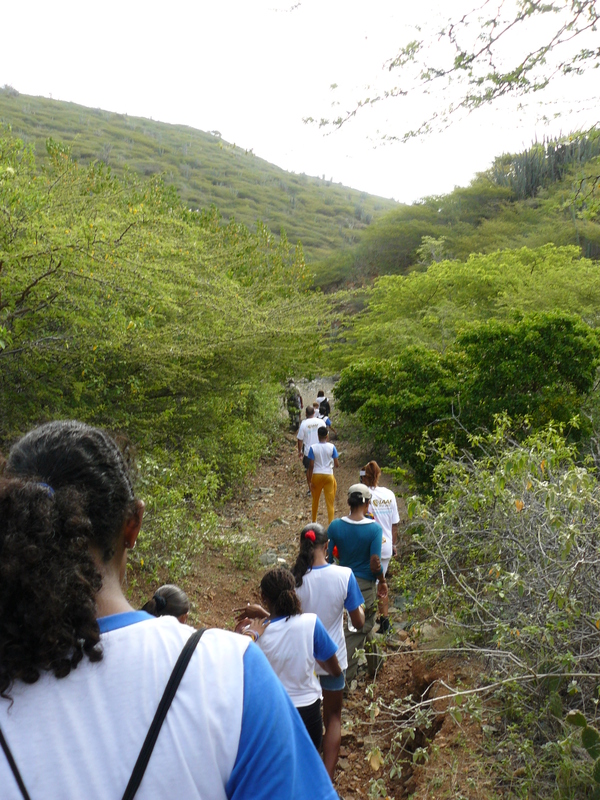 Nature education about Aruba’s natural surroundings is one of Parke Arikok’s most important pillars sustaining the parks mission and vision. The Park strives to create awareness amongst the local community, youth and island visitors. Awareness is created trough the development and provision of educational materials about the local flora, fauna, culture and conservation efforts. In the visitor center one can encounter our permanent exhibition of information panels about Aruba’s bats, birds, trees and history are found inside as well as outside the visitor center. Do you have a general question? 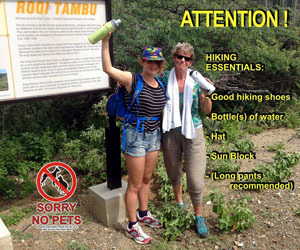 Please feel free to contact us at info@arubanationalpark.org or at 585-1234. Are you interested in our educational possibilities? Then take a look at School visits to the park, educational programs and internships . The entrance to the park is FREE for children and teachers on an official school visit. Before or after your visit you can expand your lesson with our educational materials. There are various types of educational material available at our park. 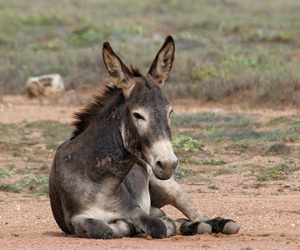 Here you find information about Aruba’s flora and Fauna. Fact sheets can be used for school presentations and school projects. For the list of fact sheets, please click here. 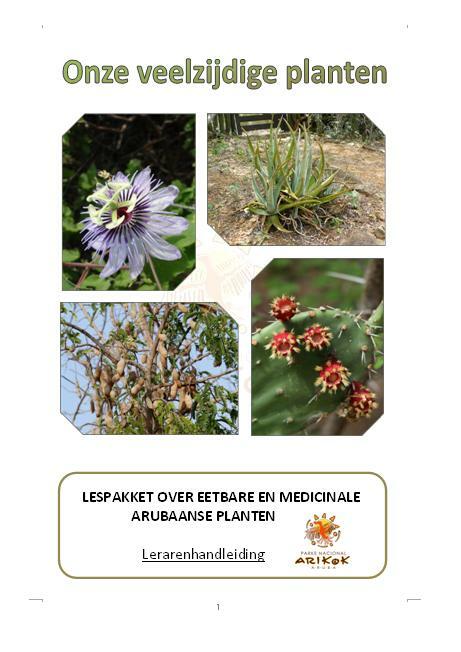 Here you find a lesson package about the diverse properties of the flora found in Arikok and on Aruba. These lesson package is directly obtainable through our for website. The lesson package is intended for school children in the 4th grade of elementary school and can be adapted for grades 3 and 5. Additional material: Arikok Map, Cunucu Arikok Trial Map, herbarium tutorial, pictures, video. 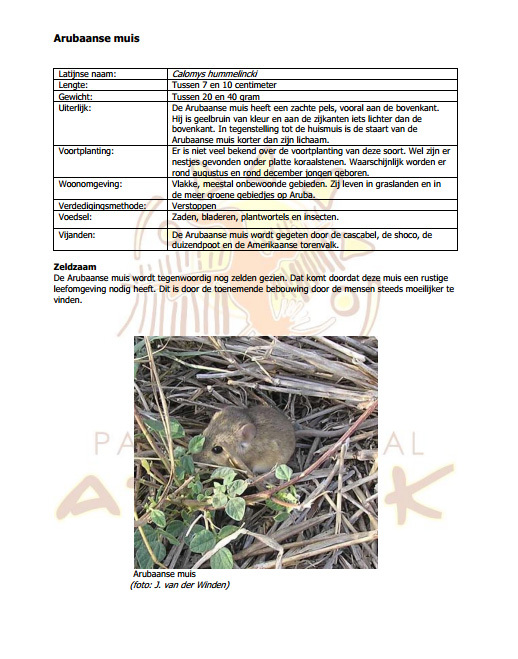 When booking a tour please inform that you are specifically visiting our Park to conduct the practical lesson related to the lesson package: ‘Onze veelzijdige medicianale planten’ and would like to request a special ranger for this. 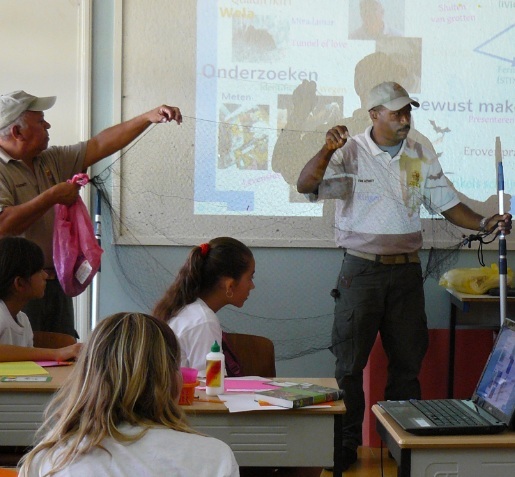 The lesson package is written in Dutch as required by the Aruban educational system. It is also possible to book an educational lecture at your school or institution. One of our Park rangers will provide your classroom or group with an informative lecture about Parke Arikok’s flora, fauna and culture.